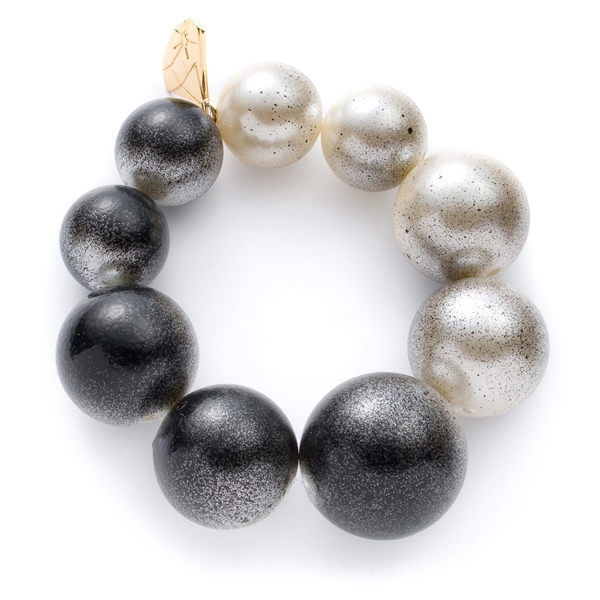 New in from London Designer Gemma Lister, this chunky pearl bracelet is very easy to wear as it's on very strong elastic so you can slip it on for an instant update to your look! Its made using varying sizes of faux pearls which have been sprayed graduating from top to bottom. The perfect accessory this season, just keep it in your bag for all those party nights! 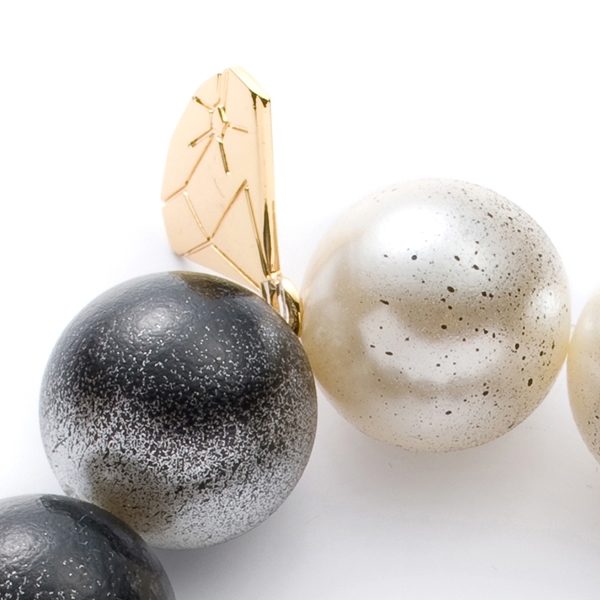 The pearl sizes vary from 2cm to 3cm in diameter.